Announced by the paper earlier today, the Washington Post will follow the example set by the New York Times and launch an online paywall for frequent visitors starting during summer 2013. After the paywall is flipped on, readers will be limited to twenty articles or multimedia features for free each month. Once the limit is hit, it’s likely that the Washington Post site will display an overlay requesting that the user sign up for a monthly subscription. At this time, management at the Washington Post have not decided on the monthly subscription price for digital readers or if there will be tiered prices for readers using mobile devices like smartphones or tablets. 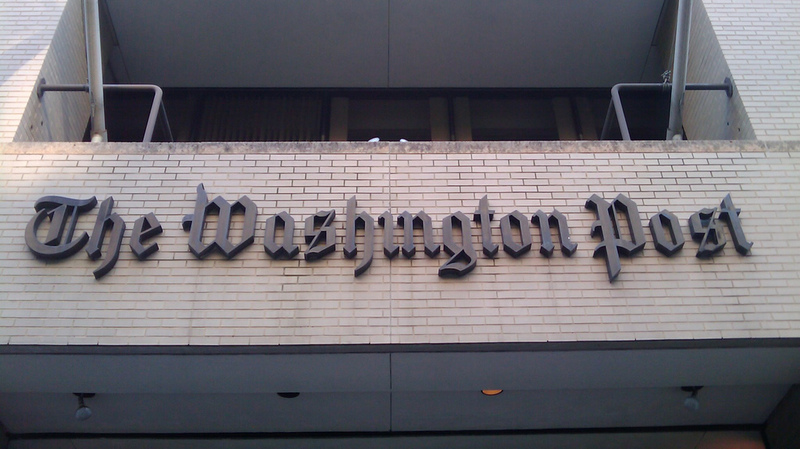 According to the Washington Business Journal, the Washington Post has been surveying readers in the Washington D.C. area. Prices within the survey range from unlimited Web access for approximately $8 a month up to unlimited Web access with seven-day print delivery for about $25 a month. 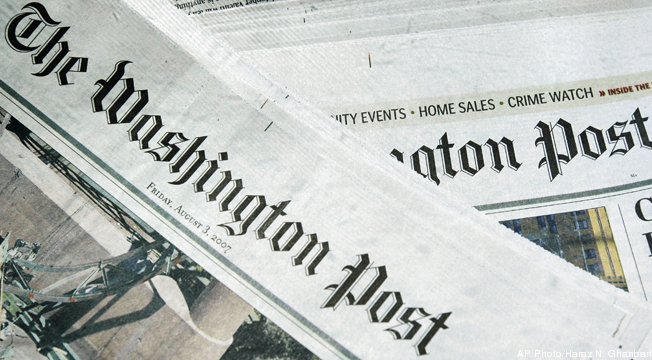 While a report during December 2012 noted that the Washington Post was looking into different online paywall systems, the newspaper had previously held the position that an online paywall wouldn’t be effective since over ninety percent of online readers were not located within Washington D.C.. Basically, limiting digital access to the site wouldn’t necessarily help increase subscription rates of the print version of the newspaper. Much like other paywall structures, subscribers to the print version of the Washington Post will be able to continue accessing the online site without any extra cost. In addition, the paywall will not be active for computers within educational, government or military institutions. For instance, if a teacher needs to access the Washington Post to support a lesson, they will be able to access the site without having to subscribe to the digital version of the newspaper. In regards to sections of the site that will be free to access for all, the home page, section pages and classified advertisements will still be open without a subscription. While the paywall has the potential to generate more monthly revenue for the newspaper, it could also have an adverse effect on digital advertising. At the moment, digital advertising generates approximately twenty percent of the total advertising revenue for the paper. If people are turned away due to a paywall, pageviews of those display ads could decrease over time and ultimately become less effective for advertisers. 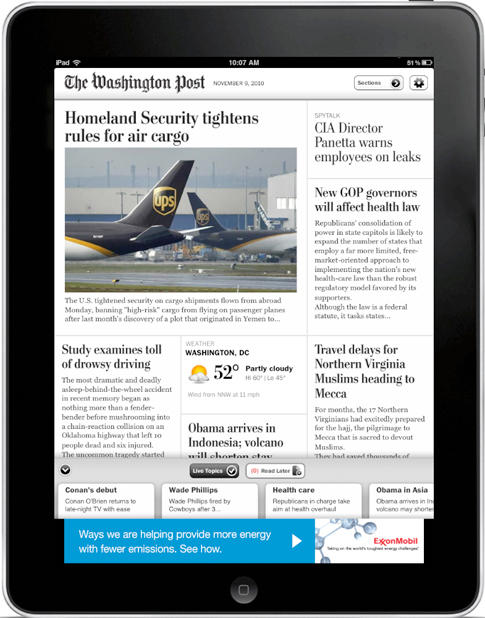 In order to spur subscriptions to the digital version of the newspaper, developers at the Washington Post plan to launch a new version of the site customized for the iPad. Beyond the Apple tablet, there have been no announcements for a mobile application specifically built for Android tablets.